The 4th graders and Kindergarteners went to Sunrise Hill Care and Rehab Center on Halloween. 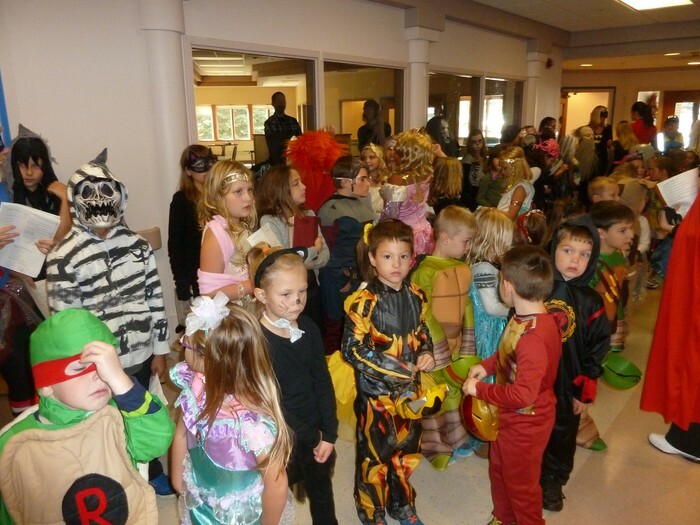 At Sunrise Hill everyone sang Halloween songs to a large group of residence. The residence seemed to enjoy listening to the students sing. 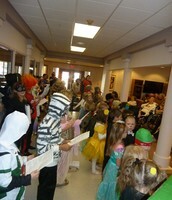 Kindergarteners and 4th graders singing to residents at Sunrise Hill Care Center. 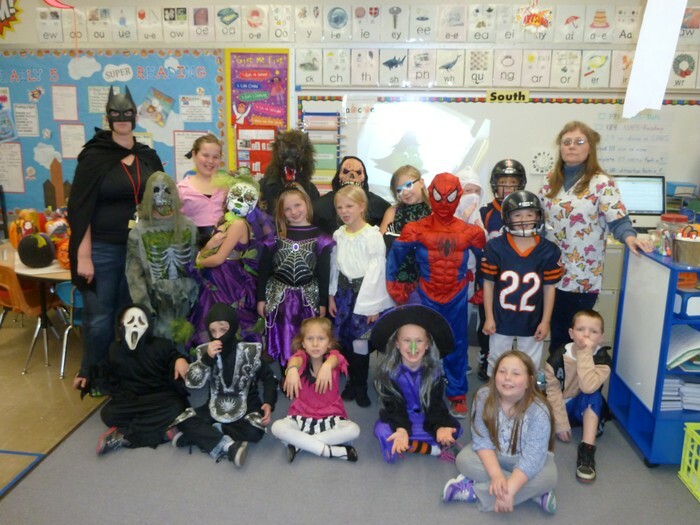 Mrs. Daub's 2nd grade class all dressed up on Halloween. At the “AWESOME” Character Counts Assembly we started out with four awesome 6th graders saying the Character Counts Pledge. The four people were Mary Lycett, Noah Weber, Emily Bradley, and Xander Finzen!!! They were amazing!!! Afterwards we watched a video about helping people out. it was inspiring to hear what was in that short video. Then we spun a wheel for prizes. But first we had to draw out a ticket for one class each and the person that drawn got to spin the wheel and win a prize!!! 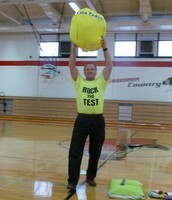 This year we had a kick of assembly for Iowa Assessment. 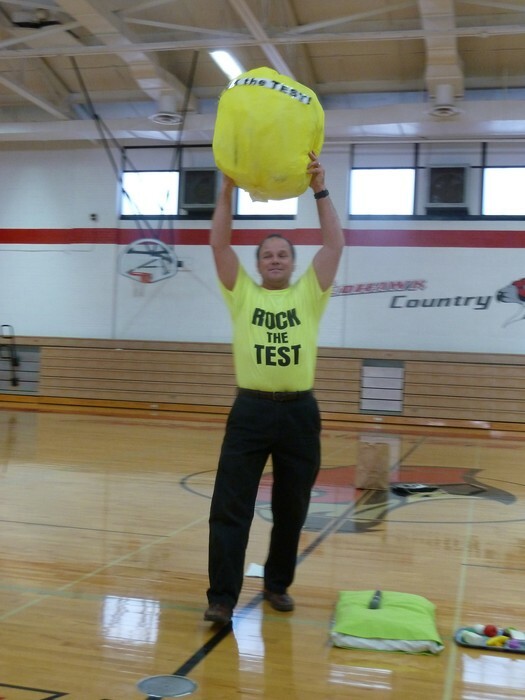 The theme of the assembly was Rock the Test! 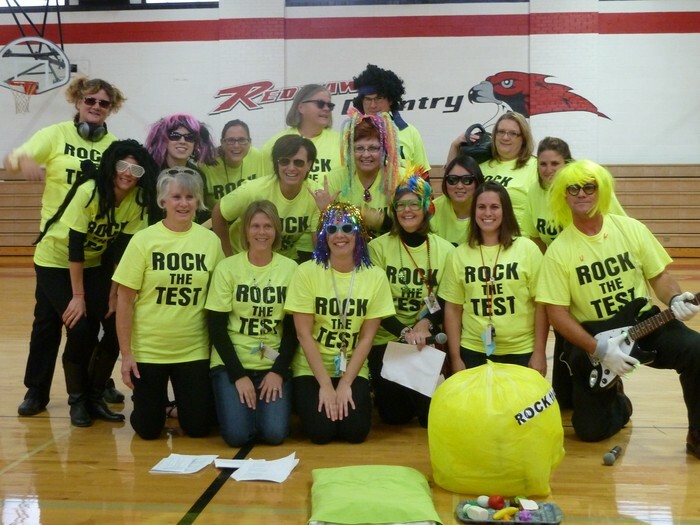 All the teachers sang,’’We Will Rock You.’’ The teachers also did a skit about how you need to eat a healthy breakfast, get good sleep, and staying focused. 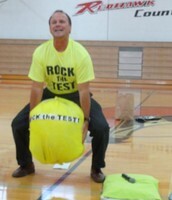 All the teachers made sure that the students will rock that test! 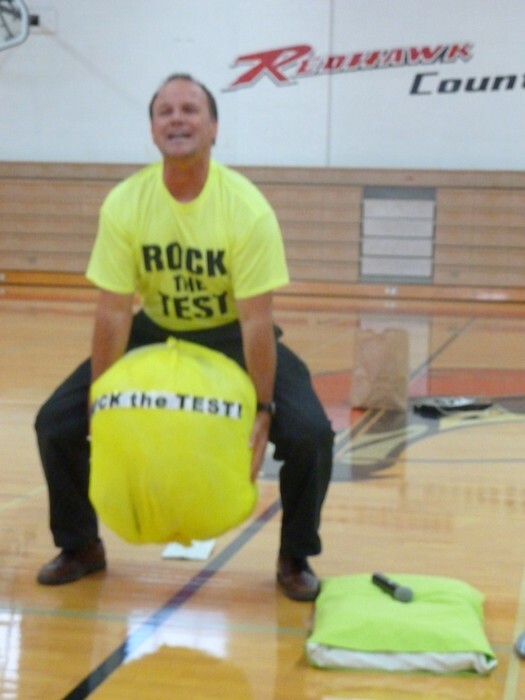 Mr. Youel said,’’If you rock that test there will be a prize!” So we will rock that test! Mr. Youel trying hard to rock the test with all the right materials. After a good night sleep, good breakfast, and some exercise Mr. Youel rocked the test!